There is a beauty to the Eastern Cape that is indefinable. The green, lush rolling hills, the calm and not-so-calm waters of the Indian Ocean, the rugged and untampered Wild Coast, the forests, the arid landscapes, the snow slopes during winter, the fauna and flora; and the people create a diversity that reflects the beauty of South Africa as a whole. The province and its people, though they exist firmly in a modern world are still able to somehow, retain that timelessness that comes from a strong connection with roots and heritage. There are individuals who are intricately woven into the fabric of South Africa’s history, whether politically, socially, academically or culturally. A sizeable portion of these individuals have their roots in the Eastern Cape, including Nelson Mandela, Chris Hani, Govan Mbeki, Walter Sisulu, Oliver Tambo, Steve Biko, Raymond Mhlaba, Robert Sobukhwe, JT Jabavu, founder and editor of South Africa’s first black owned newspaper published in Xhosa, SA’s first black medical doctor, Tiyo Soga, the composer of Nkosi Sikelel’ iAfrika, Enoch Sontonga, the author SK Mqhayi who was esteemed by President Nelson Mandela to be the “poet laureate of the African people”, the first black Chartered Account, Wiseman Nkuhlu, the list is endless. 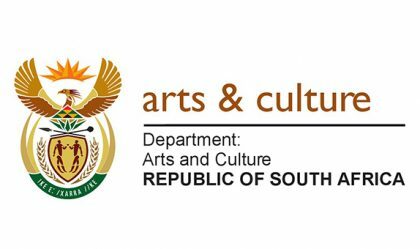 To finally celebrate and recognise the men and women from the Eastern Cape who have influenced South Africa’s history and culture, the Eastern Cape Provincial government undertook the ‘Home of Legends’ campaign. While this campaign still has to find its full expression through various initiatives to celebrate these trendsetters, it is still an extremely relevant initiative. The National Liberation Heritage Route project (NLHR) is “a flagship of the African Liberation Heritage Route in Africa – an African initiative of African Union member countries and SADC member states as represented in UNESCO World Heritage Committee. It focuses on South African and the Southern African Development Community (SADC) member states whose liberation struggles had global, continental and regional dimensions. The Steve Bantu Biko House; and the Zanempilo Clinic. Playwright and actor, Winston Ntshona. Subsequent generations are also making their mark on arts and culture. Artists such as Andile Yenana, Zwai Bala, Simphiwe Dana, Thandiswa Mazwai, Zahara, Zonke, Nomfundo Xaluva, Ringo Madlingozi, Ifani, Nathi Mankayi and filmmaker Jahmil X.T. Qubeka are laying the foundation for the future of artistry out of the Eastern Cape.